Court rules on discrimination suit: builders must set aside a home in Afula for Arab man. The David Nofrim construction firm, which is building new housing in Afula, must set aside one home in the project for buyer Mohand Houri, the High Court of Justice has ruled. Houri has filed suit claiming racial discrimination. 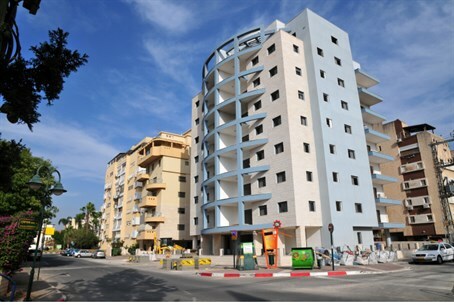 He argues that he and other Israeli Arabs who were interested in purchasing apartments in the new Afula project, in the Yizrael center, were turned away due solely to their race. The alleged racial discrimination was revealed as part of a Channel 2 investigation. Houri filed suit in December, demanding that the company sell him an apartment, and that the Israel Lands Authority require the company to make its apartments available to Arab buyers. The lawsuit has not yet been decided. However, in wake of a decision giving the defendants until March 7 to respond, Justice Uri Shoham decided to issue an order requiring a home to be put aside for Houri in order to ensure that the homes in the project are not all sold before a verdict is issued.